But tabata is a real word! And it is a very real, very effective, very fun, and very exhausting workout. I was introduced to them a few years ago by my mentor/trainer back home. Initially, it was just another way for me to do beloved kettlebell workouts, but now we use them for practically everything. Jump roping, tire flipping, rope slamming, and (the dreaded) stationary biking – we can (and do) do it all. This is possible because the concept of the tabata is so versatile. Strength, cardio, conditioning. If you know a workout, you can make it a tabata. So, really, what the heck is a tabata? Simply put, it’s a timed interval workout. It has multiple work periods followed by shorter rest periods that all add up to one full workout. Traditionally, tabatas are four minute workouts, with 8 sets of 20 seconds of work and 10 seconds of rest. While I would love it if I did a four minute workout and called it quits, the little voice in my head (that sounds oddly like my trainer sometimes) says I can do more. I typically shoot for about 4 – 6 sets of tabatas for a total of a 20 – 30 minute workout, including rest times. The kicker is that, if I did my job and worked really hard and put forth effort, I’m wiped after those 20 minutes. I’m sweating, my muscles are quivering, and my lungs are burning. The really cool thing though, is that tabatas are totally customizable. 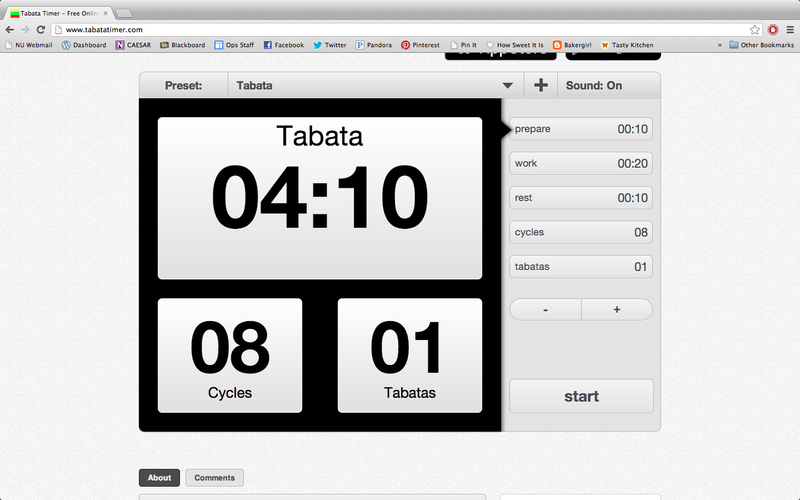 Longer work period, more sets, shorter workout – it can all be done with a tabata timer. I typically use this tabata timer online, but it’s got a downloadable app that’s nifty because you can create playlists and have music to play along with workouts (though, be forewarned that it tends to repeat songs throughout the workout and I don’t know why). Tabatas are time effective, keep my body guessing, keep me from getting bored, and are fun. I’ve started creating my own tabata workouts for kettlebelling by combining some of my favorite moves in sets or choosing to focus on specific body parts for four minutes at a time. I have jump rope and TRX tabatas written down too. Because, again, you can make virtually anything a tabata. Here’s the KB tabata workout I’m slated to do tomorrow. I’ll be using 20, 35, and 50 pound bells. And there you have it! A crash course in the wonders that are tabatas! I highly suggest you give them a shot the next time you’re looking to ramp up your workout routine! I have worked out or done some sort of exercise 6 of the last 7 days. I cannot remember the last time that happened. And it feels good. Being sore all day Thursday felt good. It felt great actually. And so I really, really enjoyed that day off. I didn’t feel guilty, I didn’t agonize over what was or wasn’t happening to my body, what I was or wasn’t doing to it. Because I had worked hard, I had made a change. I deserved a reward and deserved some rest. So I watched too much tv, baked a layer cake and played with makeup. I enjoyed my day off, because I knew it was just one day. I’d be back at the grind soon enough. Even this morning, after a restless night and after hitting snooze three times, I still got up to go for a run. A slow, agonizing run – but a run nonetheless. I got up. And I’ll keep getting up, getting through my workouts. Enjoying my workouts. This post is hard to write. It’s embarrassing to write. Because putting it out on the internet for everyone to see makes it real. Real and upsetting. And it’s about clothes. 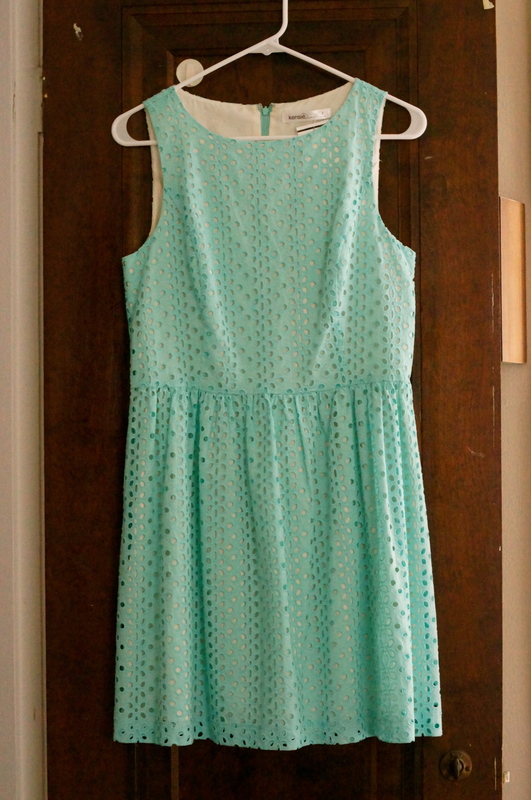 This dress? It’s basically what dreams are made of, at least for me. Perfect cut, great color, feminine but comfortable. I bought it in January, excited to find it on sale and in my size. When I found it, I knew it was “the dress.” Every woman has “the dress” in her closet, the serendipitous purchase that makes getting dressed fun, makes her feel fabulous. It was going to be the outfit that I ushered in spring with. That I wore to my internship to feel like a real adult, a real career woman (even if the dress is covered in flowers). I’ve been at my internship for over 3 weeks now, and I haven’t worn the dress yet. I can’t. The dress doesn’t fit me anymore. I can’t get it over my hips. It won’t zip. 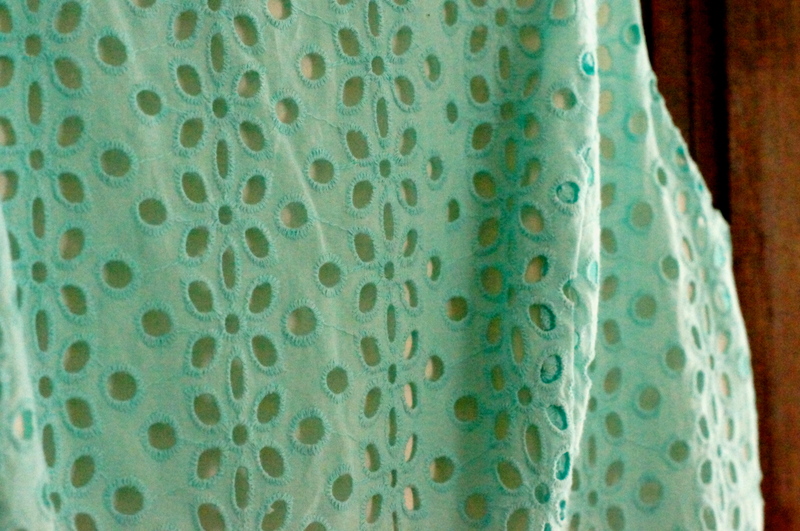 I’m afraid to keep trying for fear of ripping a seam. And so it sits in my closet, tags still on. I avoid it. I find other things to wear, things that hide what has happened to my body these past few months. What I’ve done to my body. And what I haven’t done to it. I have skipped workouts. I haven’t gotten enough sleep. I have had meals that consist solely of frosting. I haven’t eaten enough vegetables. I have punished myself. I haven’t shown my body any grace or love or care. I have made excuses. I haven’t made any changes. And I’m tired of it. I’m tired of being tired all the time. I’m tired of picking outfits based on what is most “slimming.” I’m tired of treating my body like it’s disposable, unworthy. So, I’m making a resolution. Because it doesn’t need to be January 1 to recognize a need for change and to pursue improvement. I’m resolving to workout harder, sleep more, and eat better. Because, yes, I want to fit into the dress I was so excited about all those months ago. Because I want to feel good in my clothes, in my own skin. More importantly though, I’m going to take care of myself because it’s what my body deserves, it’s what I deserve. I find that if I don’t write my workouts down or have a (semi)solid plan to follow throughout the week that my workouts are much more lax, sporadic, and unenthusiastic. I don’t follow this as a set in stone rule, but it helps to have a guide for fun and creative exercise! 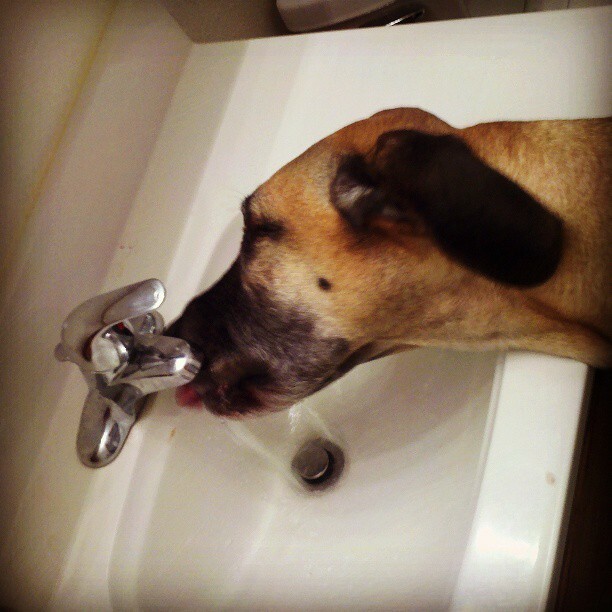 1) I didn’t believe my dad when he told me our dog liked drinking out of the sink. Since coming home for spring break I’ve learned he was not only telling the truth but to an extreme extent. She’s more spoiled than I am. 2) I love Cory and Topanga. I hate Cory and Topanga. 3) Everything hurts. Everything. My toes, my arms, my love handles. All sore. It’s all thanks to Bob Harper’s Boot Camp DVD. Say what you will about exercise DVDs but if you’re putting forth any amount of effort, you’ll get a good workout! 4) So proud to be a journalism major. 5) I’ve been on a DIY kick like no other. Hairbows, headbands, infinity scarves. I feel very Martha right now. 6) 50 Things They Don’t Tell You About Being A Chef. Something to look forward to. 7) I’ve been mulling over 1 Corinthians 15:10 the past few days. In light of Easter and all, I think the message of God’s grace is so pertinent, helpful, and hopeful. 8) My birthday is on Saturday and I feel old. Why? Because I actually finished cleaning my room today. Normally I start cleaning my closet or going through my bookshelf and before I finish I get distracted by Gilmore Girls reruns or YouTube tutorials but this time that didn’t happen! Scary. 9) To make up for the room cleaning fiasco I danced around my newly cleaned room to an old Simple Plan CD. No shame. 10) Ben & Jerry’s Liz Lemon Greek Yogurt? Not the biggest fan. Just so you know.